The Motic BA310POL is designed for materials science professionals examining birefringent specimens with efficiency and repeatability. Innovative features include a new generation of EC Plan Strain-Free objectives set in a reversed quadruple nosepipece and 10X high-eyepieces set in a 30-degree inclined Siedentopf binocular or trinocular head. 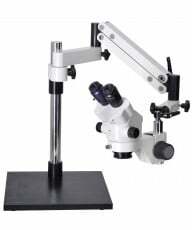 Full polarization includes a rotatable analyzer with Bertrand lens and rotatable polarizer. 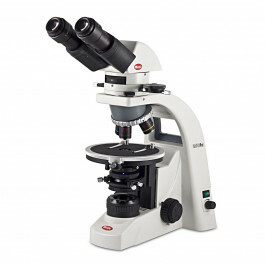 Standard 6V30W Halogen illumination, a strain-free condenser and large mechanical stage round out an economical, versatile system suited for a wide range of petrography, minerology and materials science applications. 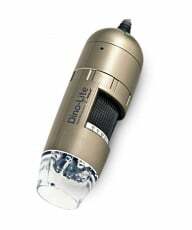 The optical system is designed around a new generation of Color Corrected Infinity System EC Plan Strain-Free objectives (4X, 10X, 40X S, 60X S) set in a reversed quadruple nosepiece. These new lenses are multilayer-coated for improved color fidelity and image contrast. 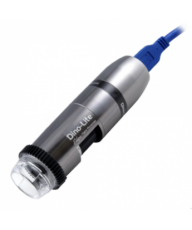 A fully corrected tube lens includes a focusable and centerable Bertrand lens, 360-degree graduated analyzer for optimum image extinction, and a DIN-compliant compensator slot accepts all established compensators. 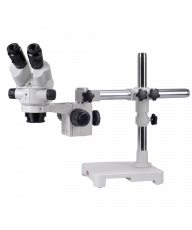 widefield high-eyepoint N-WF PL10X eyepieces feature 20mm field of view, dual dioptric adjustment, and one eyepiece includes a fixed crosshair reticle. The hard-coated rotating stage is 160mm in diameter and features ball bearings for smooth rotation through 360 degrees, with 1-degree graduations for quick, precise orientation and reference. Focusing includes concentric coarse/fine control knobs operating machined rack and pinion gearing for smooth, controlled movement. Safety features include a rack-stop to prevent damage to the objective or slide, and a slip clutch to minimize the risk of damage due to over-extension. 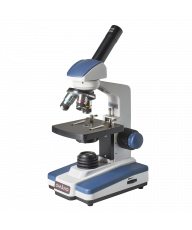 Our Motic BA310POL comes standard with 6V/30W Koehler Halogen illumination, along with an adjustable field diaphragm and aperture diaphragm for repeatable, shadow-free illumination. A strain-free swing-out condenser with N.A. 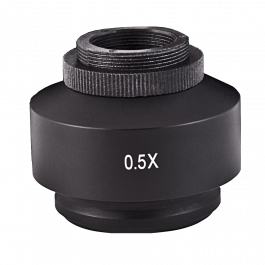 0.90/0.13 and fully rotatable and graduated polarizer allow optimum lighting refinement. Owners Manual, power cord, Hex Key, Insertion plate, Blue filter, Eyecups, Vinyl dust cover.